a very funny excercise on the clock time! Children are supposed to help Kevin (one of the minions) to take his cakes out of the oven right on time. 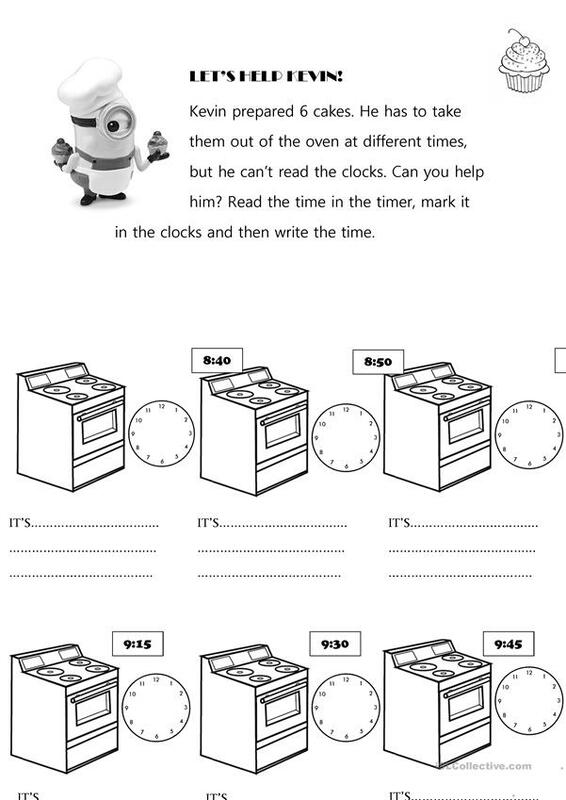 They have to look at the timer, complete the clock and then right the time on the space below. This downloadable worksheet is meant for elementary school students at Beginner (pre-A1) level. It was designed for developing your learners' Spelling and Reading skills. It is focused on the theme of Numbers. AndyBalbi is from/lives in Argentina and has been a member of iSLCollective since 2015-03-16 23:10:01. AndyBalbi last logged in on 2019-04-13 22:08:04, and has shared 3 resources on iSLCollective so far.